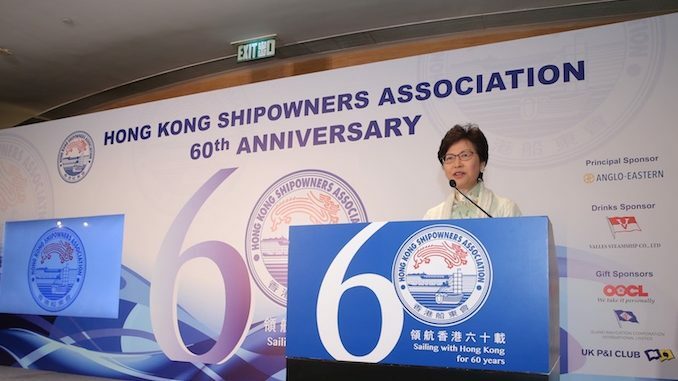 The Hong Kong Shipowners Association choose its moment well to call the Government to create an independent statutory body with powers and resources to enable the territory to respond to regional competition. “Of course, we would much prefer a statutory body in the longer run to take on the work. “We hope the Government will create an independent, statutory maritime authority to work closely with the industry in adjusting existing policy, and developing new initiatives, in order to improve the competitive nature of our maritime sector,” Hsu added. The Association has also expressed its support for the establishment of a dedicated policy bureau with sufficient resources to drive the long-term development of the maritime, aviation, ports and logistics sectors. This could be achieved by separating the Transport branch from the Housing branch under the existing Transport and Housing Bureau, and setting up a new Transport Bureau that oversees all road, air and sea transport matters. 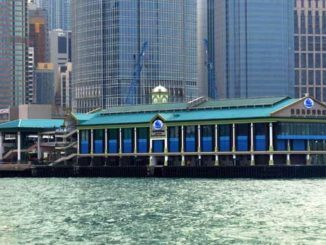 It might seem a little churlish of the HKSOA to make the call for such an authority in the middle of Hong Kong Maritime Week (19-26 November), an extraordinarily successful 8 days of events organized by the HKMPB. But there is nothing new in these demands. As far back as 2010, the late George Chao, then chairman of Hong Kong’s Wah Kwong Shipping, complained that the Government was not doing enough to support the maritime sector and called for a secretary who would just look after shipping and ports. 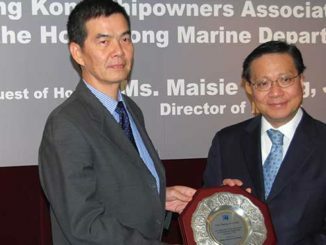 HKMPB over and above its role as an advisory body has done a sterling job in promoting the industry, already having two maritime weeks under its belt despite only having been established in April 2016. But faced with intense regional rivalry the spinning off of the Transport Department and the creation of a ministry for shipping and ports must sooner or later prove essential if Hong Kong is to compete. Bjorn Hojgaard, chief executive of Anglo-Eastern Univan Group was elected deputy chairman of HKSOA, succeeding Mr Jack Hsu. Mr Zhu Jianhui of COSCO Shipping (Hong Kong) Co Ltd, Mr Su Xingang of China Merchants Group Ltd, and Mr Jon Zinke of Keesal, Young & Logan were elected as the Vice Chairmen. Ms Sabrina Chao, the outgoing chairman, thanked members for their support to the Association during her term. Incoming chairman Mr Hsu congratulated Ms Chao on her hard work and dedication, and the many changes and new initiatives that she had brought to the Association. The Hong Kong Shipowners Association is one of the world’s largest ship owner associations, its members owning, managing and operating a fleet with a combined carrying capacity of over 178 million deadweight tonnes. Since it was founded in 1957, the Association has been active at local, national, and international level. 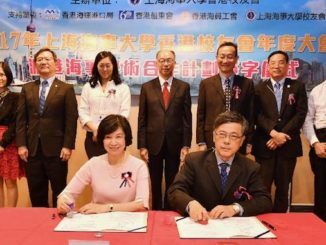 It represents the interests of the shipping community, promotes Hong Kong as a leading maritime centre, and hosts a variety of social, educational and technical programs that add value to the operations of member companies.